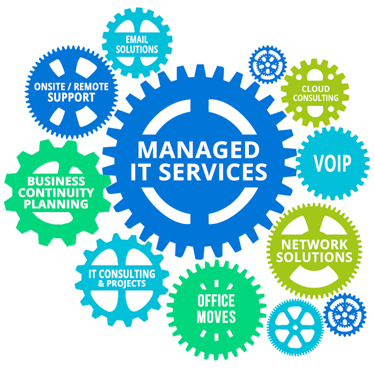 Home/IT Management, Managed Services, voip/What is Managed Services? You’ve probably heard this term over a dozen times this year alone, but what does it really mean? Virtually all businesses, regardless of size or industry, have significant information technology (IT) needs. Unfortunately, many businesses don’t have the technical know-how, the personnel or the manpower to service these needs effectively. This is where a managed service provider can help. Many of these services can be handled outside of a contracting company’s internal network structure. A managed service provider, such as Sirama Consulting, is a company that assumes control of IT-related services for any contracting entity—typically a business—on either an ongoing or as-needed basis, depending on the specific requirements of the client. Sometimes managed service providers take over all of a client’s IT responsibilities; occasionally only certain functions are taken up by the managed service provider. In effect, contracting a managed service provider creates a fully staffed IT department for a small company, if that’s what the client wants or feels it needs. Essentially all businesses rely on information technology to a greater or lesser extent, but that reliance grows with every passing month, as does its complexity. That complexity naturally gives rise to greater and greater problems. Many businesses, particularly small ones with limited personnel and little if anything in the way of IT expertise, find themselves spending ever growing hours troubleshooting problems rather than working on the substance of their business. Problems related to, for instance, network down time, have a doubly crippling effect on many businesses. Not only does the compromising of the network infrastructure make it difficult for workers to perform their jobs—dependent as they are on smooth network functioning—but personnel resources must be diverted to the onerous task of network repair and maintenance. And that is a job for which most, if not all, workers are less than expert. Many small and medium sized companies simply don’t have the necessary resources at hand to deal efficiently with the IT problems that seem to crop up on a daily basis. Contracting for necessary services with a managed service provider can effectively produce an expert IT department where one didn’t exist. By taking responsibility for such tasks as network stability and data backup and recovery, a managed service provider can ensure that needed IT systems—hardware and software—continue to function smoothly, solving complex problems before they spiral out of control. When a problem does crop up, an IT expert can solve it much more quickly, with far fewer negative consequences, than an inexperienced team. Meanwhile, the client’s workers can focus on their own areas of expertise—the substance of the business itself. 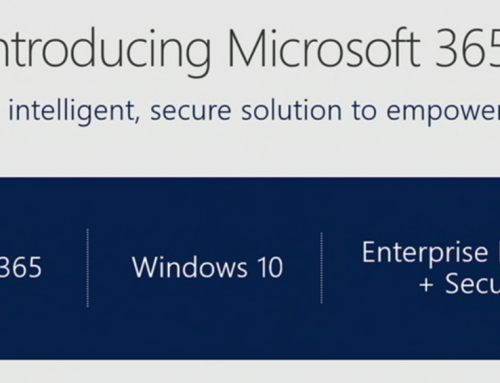 And, of course, the managed service provider will only take on those tasks that the client requests. For those IT areas where the client wants to retain control, it does. The client never surrenders its IT assets and the systems management process remains entirely transparent. While most large businesses have the assets and economies of scale necessary to fund and maintain IT departments, filled with experts, that’s rarely the case for small and medium sized businesses. For them, outsourcing some or all of their IT woes to a managed service provider may make good sense. Interested in Managed Services for you business, contact one of our specialists today at 954.908.3600 and schedule a no-cost, zero-commitment assessment to see if Managed Services would benefit your business. Sirama Consulting is a boutique IT consulting firm which caters to small businesses, medical offices, educational facilities, legal practices among others.